Terry does a great job. Ideal pest control has been servicing my last two houses for many years. I recommend this company because, they do a great job. Thanks, Mitch T.
Very happy with service. Service personnel are always so polite. We were told our neighbor had termites. We decided to get a contract at that time. Several years later we are still completely free of termites. Our termite baits around home are checked monthly. We are quite satisfied with the friendly and excellent service we receive. Ideal pest will go out of their way to please a customer. I am very please with their service. I have used them since 2007. I've been a customer of Ideal Pest Control for 6 years in two houses. They've efficiently rid my homes of roof rats, termites, powder post beetles and cockroaches, all at very reasonable prices. I'd recommend them to anyone. As a business, first Hassell Realty and now Benchmark Properties, we have used Ideal Pest Control for 15 or more years. They are always prompt and friendly, and eager to help. We've had no call backs. We will continue to use them on all of our properties. Ideal Pest Control is a wonderful friendly family owned business. They are great at communicating when the property will be serviced. Whats best is, we can once again enjoy sitting in our backyard due to the monthly mosquito control service. Ideal pest control has provided excellent service. From the initial call to the service. The receptionist was polite and helpful, and able to get a serviceman out that very day to access the situation and explain the chemicals that would be used and packages that were available. The serviceman was friendly and professional explaining everything in detail that was going to be done. Once the service was completed our issues were taken care of almost immediately. They notify you in a week advance of your appointment that is scheduled through email and a phone call. I highly recommend this company. So far everything seems fine. Quarterly service person checks bait stations. Leaves bill on door. One concern caused me to call for a non-scheduled check. All is fine. Are pleased. Thx. P Black. I have been very satisfied with the service provided by Ideal Pest Control. Have no problems with your service. I've used your service for a number of years and thus far really very pleased. ABSOLUTELY LOVE THEM... VERY DEPENDABLE AND AFFORDABLE. Technicians are always prompt, pleasant and professional! More than happy with your service thank you . 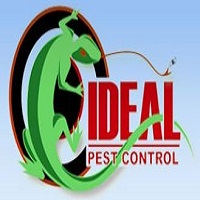 Ideal Pest Control takes great care of us every time we need their help. They are courteous and prompt with their service. When we moved to another home, we made sure we kept our Ideal Pest Control service. They're terrific! Honest family business where customer’s needs are important. We have been customers for over 20 years! Thank you for the good service!! I am happy to have Ideal Pest Control as the pest service for my house. Love the service I get and the people. Clayton's service is as about as good as anybody could ask for. I like I deal pest control. Terry does a great job! We a pleased to have Ideal Pest Control and Eric Speegle service the school. He has been very responsive to various pests encountered in our rural location. His knowledge is amazing. Mr Terry dose a awesome job! Such personable customer service! I love this company! And they fixed the issue that I hired them for. We have used Ideal Pest Control for several years, for my personal home, as well as for our investment properties. The team is fantastic, from the service techs to the billing department. We recommend them to our friends all the time! Ideal Pest control is the best! The staff are very knowledgeable, helpful, patient and genuinely care. You always call to verify the appointment which is a good reminder for me that you will be coming. I am very happy. The only bugs I see are the ones on their back kicking their little legs. I just call my husband to come and pick them up and he throws them outside. Very, very happy! Thank you! The company is easy to work with. Mr. Terry ,our bug man, is great. I love that Ideal Pest is a local, family run company. Eric and Lin are wonderful, caring and genuine people, and always respond immediately to any needs or questions, taking time to explain anything I might want to know about what, why, how, etc. They offer reliable and effective service, and could teach other companies just how good customer service works. Excellent service. Clayton is honest and I can trust him so I can leave my house open if I can't be home. Gordon does a good job. Programs friendly service that listens to your needs and concerns and remembers them every visit. I use the organic pest control and it’s always done the job. Eric is a wonderful exterminator and your company is very fortunate to have him.